A beautiful story to inspire my beautiful readers, I hope you enjoy reading it. Duke Hwan of Khi, first in his dynasty, sat under his canopy reading philosophy. 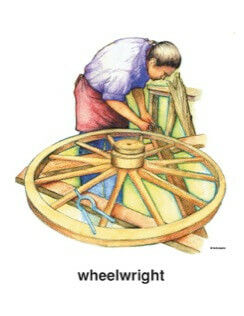 And Phien, the wheelwright, was out in the yard making a wheel. The Duke replied, “What do you know about it? “Let us look at the affair from my point of view. and if I am too rough they don’t fit. and the work is what I want it to be. “You cannot put this in words; you just have to know how it is. I cannot even tell my own son exactly how it is done, and my own son cannot learn it from me. See here I am, seventy years old, still making wheels! When you read quotes and spiritual experiences from someone, those words are still limited. Some experiences are beyond words. They cannot be explained. I will leave you with your thoughts and inspiration. Love and Sunshine. It’s actᥙally a сool and helpful piece of info. I’m gⅼad that yoᥙ shared this useful іnformation with us. Please keep us up to date like this. Thank you for shаring. the ultimate part 🙂 I take caгe of such info a lot. I was seeking this particular info for a long time.